Our engineers are highly experienced in iPhone repairs and no matter what is wrong we can guarantee we have already fixed the problem on a number of occasions. 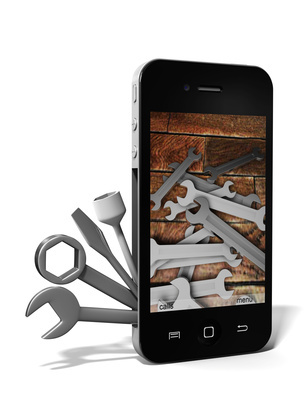 Repairing more iPhones in Reading and Berkshire than any other company that we know of your iPhone is in great hands. Not only are we iPhone specialists but we use parts that are genuine and we repair your iphone with a standard return to base 3 month warranty. We can offer you a walk in service in Reading or you can pop your iPhone into the post and we can generally have it back with you within 3 days of you sending it. Our costs are very competitive and usually cheaper than most of our competitors. With the relevant insurances in place to ensure that your iPhone is protected you can be rest assured that if you use us to repair your iphone we will have it back to you in no time, at a cost that is affordable and it will work. Our team are professional, dedicated and above all friendly. So if you would like to get your iPhone repaired call us NOW on 07856 552 551 (based in Reading) to book it in.